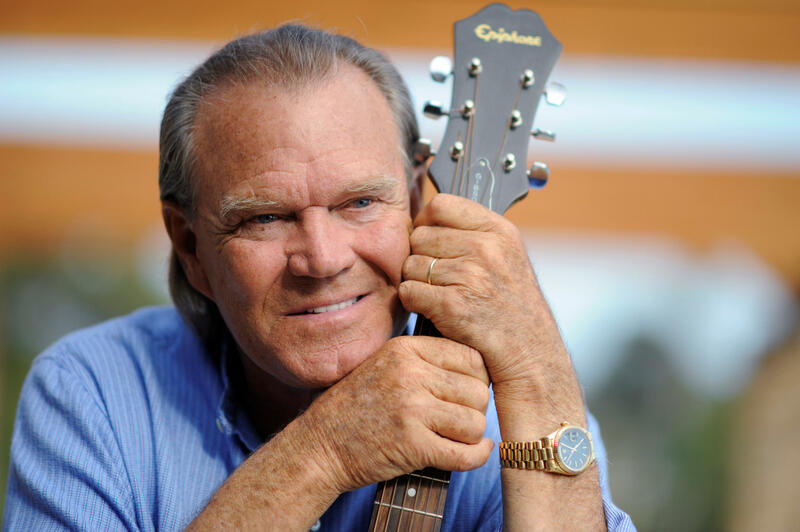 NASHVILLE, Tenn. — The country music community lost a legend when Glen Campbell died in August at 81, but the 11th annual Academy of Country Music Honors in Nashville, Tennessee, showed his family the mark he left behind with a moving tribute. Campbell's family was in attendance Wednesday night to watch the performance by Grammy-winning singer and songwriter Maren Morris at the Ryman Auditorium. Morris sang "Galveston," a signature hit for the country star, actor and television personality with boyish good looks and friendly tenor. Campbell announced in 2011 that he was diagnosed with Alzheimer's disease. "It's just really comforting to us to know that Glen is so well respected and admired and that he has influenced so many entertainers throughout the years," Kim Campbell, his widow, told The Associated Press prior to the show. His son, Cal Campbell, said there has been an outpouring of messages from fans all over the country since his death on Aug. 8. He was buried in a private funeral in his hometown of Delight, Arkansas. "People just talking about how he changed their life, gave them a reason to pick up the guitar, " Campbell said. Other country icons were also honored during the awards show, which was taped and will air on CBS on Sept. 15. Dolly Parton, Reba McEntire and George Strait were all feted with performances by Brad Paisley, Hillary Scott, Kimberly Schlapman and Karen Fairchild of Little Big Town, Chris Stapleton and Alan Jackson. Additional honorees were the late author and songwriter Shel Silverstein, Toby Keith, Kelsea Ballerini, songwriter Lori McKenna, radio host Bob Kingsley and the cast and crew of the TV show "Nashville." The ACMs also recognized several musicians, producers and engineers, as well as musical venues.